There was a time, a decade or so ago, when wine bars peppered every corner. Since then, craft beer, gin, and even craft cider have had their day. Now though, wine bars seem to be making a bit of a comeback. To celebrate, we put together a list of great wine bars, restaurants with impressive wine cellars, and eateries that simply offer a singular after-work drinks experience. Cheers! This wine bar by the Warm & Glad team serves hand-crafted wines and a French-inspired menu of cheese, terrines and cold meats. 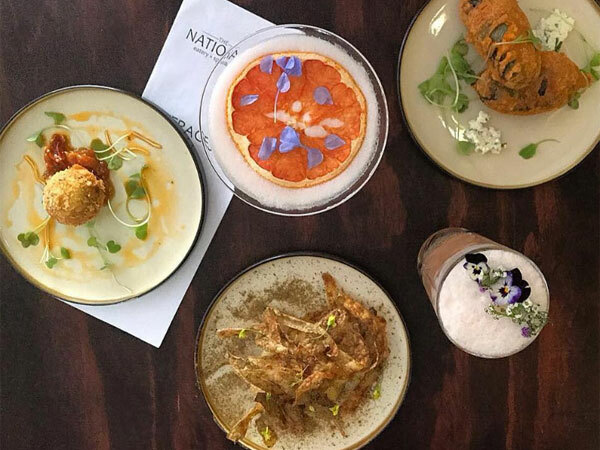 With tasting menus and wine sold by the glass and by the bottle, it’s a much-needed addition to Johannesburg’s social scene. It caters to the more discerning wine lover with interesting options like Saboteur by Luddite, Fram, Savage Wines, Treinspoort, and Howard John Carignan. A buzzing night at Ace + Pearl. Photo supplied. 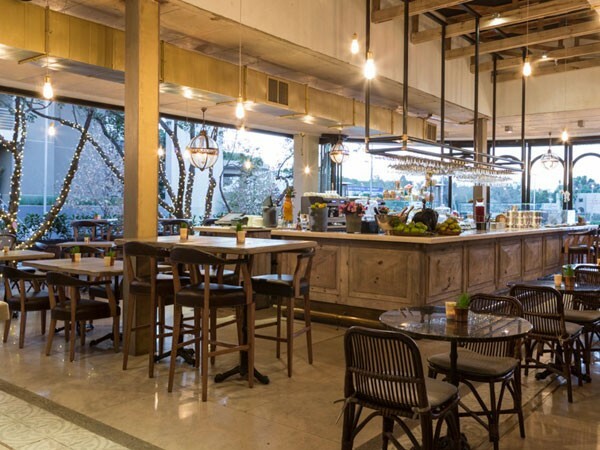 Situated next door to Café Del Sol Botanico, The Landmark Cocktail Bar allows customers to order starters and pizzas from their neighbours while sipping on some of the best cocktails, beers and wines Joburg has to offer. Tuck into dishes like local olives marinated in olive oil, red wine and pink peppercorns; beef carpaccio; duck spring rolls; or beautifully seasoned and moist South African biltong. The Landmark’s impressive collection includes wines from renowned South African farms along with some international options. Try some top notch bubbles from Louis Roederer Vintage as well as (available by the glass) Veuve Clicquot Brut NV, Nicolas Feuillatte Brut Rose NV, and Nicolas Feuillatte Brut NV. Local options include Cape Bordeaux-style red blends such as Delaire Graff Botmaskop and Rustenberg John X Merriman (both available by the glass). The family-run restaurant sources wines from South Africa’s preeminent estates as well as international stars. In addition to a wide variety of by-the-glass options, the choice of top notch bottles includes Veuve Clicquot Brut NV, the highly regarded The Ahrens Family Bottelary OVC, which has a 5-star Platter rating. End the meal on a sweet note with a bottle of Pierre Jourdan Ratafia, Donkiesbaai Hoofwyn and Nederburg Noble Late Harvest. On the food side, the farm-to-fork philosophy comes through in a range of delicious steaks sourced from Country Meat SA. The stylish interior at LBV. Photo supplied. This wine bar and steakhouse is one of the spots that first comes to mind when looking for great by-the-glass options as well as good food. For those looking for a light meal with their after-work-drink, the range of starters and tapas includes some wonderful dishes. Try the excellent Milhaus jalapeno poppers – jalapenos stuffed with bacon, cheddar and cream cheese and served with basil pesto mayo; feta and kalamata olives; and the cheeseboard. The wine list features a huge variety of highly rated wines. Fryer’s Cove Bamboes Bay is one of the stand-out sauvignon blancs– and is happily available by the glass. Also try Springfield’s Life from Stone, or a bottle of Ataraxia Chardonnay or Rustenberg Five Soldiers. On the red side, try shiraz from Tamboerskloof or Kevin Arnold; pinotage from L’avenir or Altydgedacht; or a merlot from Glen Carlou or Muratie, whose “Alberta Annemarie” is on offer. Specialising in fine Mediterranean, Asian and Middle East cuisine, Mezepoli Meze and Wine Bar matches their sublime meals with exquisite wines such as Taittinger Prestige Rosé, Dom Perignon, Iona Sauvignon Blanc, Hamilton Russell chardonnay, Le Riche cabernet sauvignon, Meerlust merlot, Rust en Vrede syrah, and Kanonkop Paul Sauer. The wide range of light dishes includes a range of olives, cheese and dips and pitas, which come in traditional Middle Eastern double form, or in wholewheat or gluten-free options, or as pita grissini – crispy fried wedges accompanied by a chilli feta dip. Sushi at Mezepoli. Photo courtesy of the restaurant. Urbanologi holds its own as an avante garde brewery restaurant where guests are guaranteed sensational food and drinks any time they choose to unwind at the bar. Located inside the Mad Giant Brewery at the 1Fox Precinct, Urbanologi serves up plenty of craft beer. Wine fans, though, will be happy to learn that all the wines on the concise but cleverly curated list are also available by the carafe. Try a carafe of Peacock Wild Ferment chenin, Waterkloof’s excellent Circle of Life blend, the Yardstick (a collaboration between Mulderbosch’s winemaker and chef Peter Tempelhoff), shiraz from Reyneke’s biodynamic vineyards, or De Toeren’s Fusion. A wall inside Urbanologi that features graffiti by Nomad. Photo supplied. 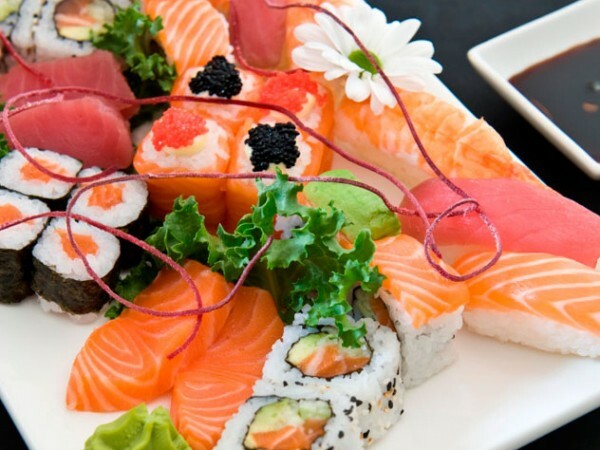 Boasting over 50 different wines, including a selection of delicious port cocktails, Moo Moo is one of Pretoria’s very few wine destinations. 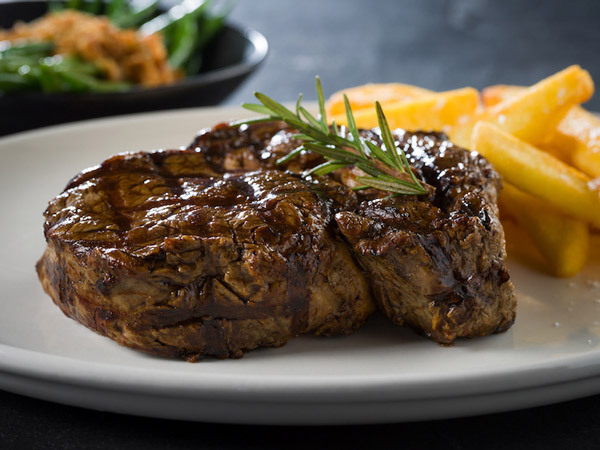 This steakhouse has a comprehensive wine list with some affordable, easy-drinking varietals like Neill Ellis Groenkloof sauvignon blanc (R39 a glass, R157 a bottle) which is deliciously described as “brim(ming) with musk, orange, pear and herbal aromas.” One of their top selling wines is the ever-popular Haute Cabriere chardonnay pinot noir. Pinotage lovers will enjoy the L’Avenir Estate pinotage. Be sure not to miss the Happy Hour between 4:30 pm and 17:30 pm on weekdays, when you can get two glasses of wine for the price of one. Bring a friend! This plush spot attracts the who’s who of Pretoria. It’s situated at The Club and offers the perfect after-work hang out. There’s a pretty decent wine list, with prices ranging from reasonable to steep. A bottle of Guardian Peak goes for an affordable R110 while a bottle of Rust & Vrede 1694 Classification will set you back a staggering R1600. There’s also a selection of ports and sparkling wines by the glass as well as by the bottle. Expect to pay an average of R60 for wine by the glass. Inside at Hinterland Vleishandelaar. Photo supplied. 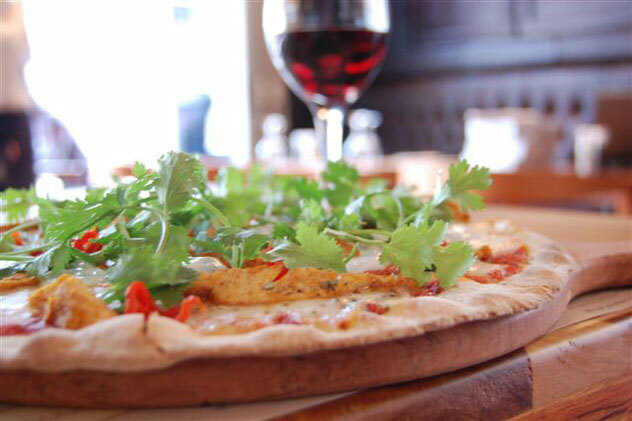 This authentic Italian bistro has great food and an outstanding wine list, peppered with some South African favorites. Think crisp, fresh and intensely fruity Springfield Life From Stone sauvignon blanc for R360 a bottle and the plummy, chocolatey Meerlust merlot for R545 per bottle. The designers of this lovely wine list have taken great care to ensure it’s not lacking in variety or quality and have also included descriptive wine notes to help guide you in making your choice. The massively rich, spicy Thelema Shiraz also comes highly recommended – a “big” wine at R120 a glass or R354 a bottle. This buzzing gastropub is a popular nightspot and a great place to grab a glass (or three) of good local wine. Some stars include the elegant Vondeling chardonnay at R175 a bottle with punchy peach and citrus on the nose and the Bernard Series Bush Vine pinotage (R350 for a bottle). The Beverage Book ends off with a pretty impressive bubbly list, for those celebrating. Some of the most celebrated French champagnes feature alongside some wonderful MCCs like the gorgeous salmon-pink hued Boschendal Brut Rosé at a decent R235 per bottle. Veuve Clicquot with its notes of white cherry and candied lemon zest comes at the slightly steep price of R1140. Absolutely worth it. Arguably one of Pretoria’s best food venues, Life Grand Cafe also knocks it out the park with a fantastic wine offering. This classy yet comfortable bistro is situated at Hazelwood’s The Club and is the perfect spot to enjoy a glass of wine after a long day. If you’re a Shiraz fan, then the full bodied Mullineux (R550) is for you. Rijk’s Touch Of Oak pinotage is another good red with an almost pinot noir-like nose and plenty of fruit – yours for R195 a bottle. There’s a good selection of bubbles as well, with the usual suspects plus some more special bottles like the full-of-fruit, pleasantly nutty Ruinart for R1260 a bottle. Waiters are well clued-up on their wines and can recommend based on your preferences. 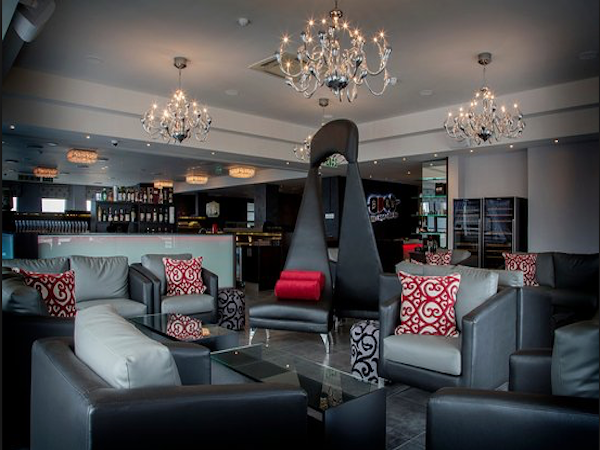 The stylish bar at Life Grand Café Pretoria. Photo supplied. This casual dining spot is great for a relaxed evening out. They serve delicious tapas alongside some lovely local “charged grapes”. Some popular choices include the Tavo pinot grigio for R140 a bottle and La Delizia prosecco for R150 a bottle. This list is quite small, but by far the most reasonably priced. Service here is quite friendly and efficient and you’re guaranteed to enjoy yourself for no more than R250 per couple if you’re just here for an after work tipple. Oysters and bubbly at 9th Avenue Bistro. Photo supplied. 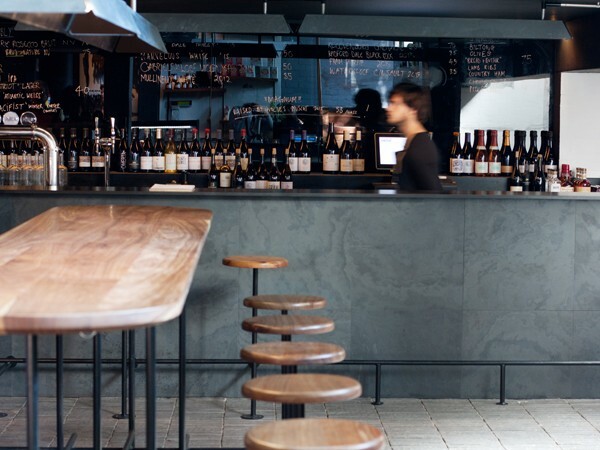 This stellar bistro takes its wine very seriously – and even has a Platter’s Wine Guide available on request. The carefully selected by-the-glass section has a wide range of varietals and vintages. 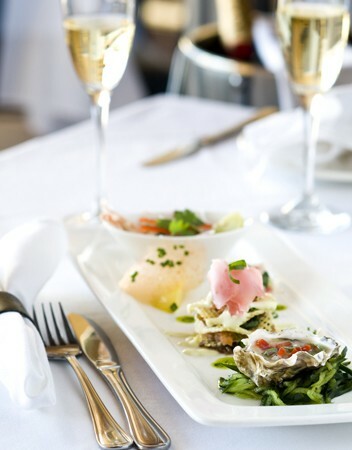 Try a glass of Neil Joubert Sauvignon Blanc, Fort Simon Merlot-Malbec, and Pierre Jourdan Brut MCC. The food is top-notch, too. 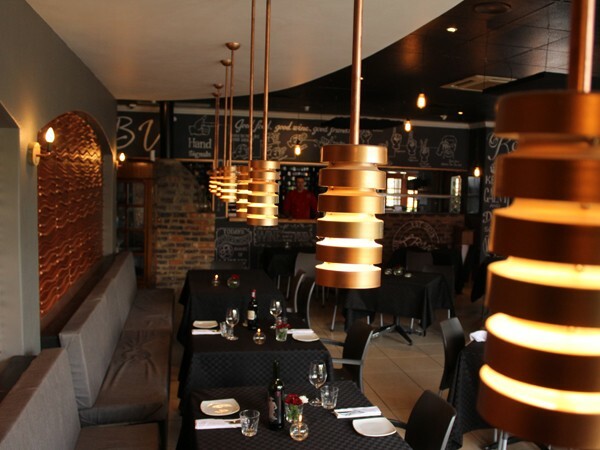 The Durban branch of this popular restaurant offers an impressive collection of local wines. Alongside Ernie Els signature wines, guests can look forward to an extensive collection featuring quality wines by up-and-coming winemakers, many of which are available by the glass. Sit in the lounge area and sip on your favourite varietal paired with dishes such as curried Karoo lamb and apricot sosaties; mini gourmet boerie rolls with lamb masala sausage, pork sausage and traditional boerewors; and pap arancini with sautéed spinach, goat’s cheese and marinated vine tomatoes. 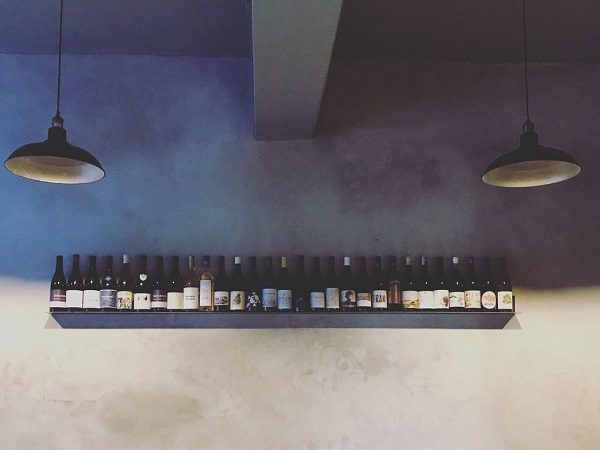 This Berea eatery is not technically a wine bar, but their wine list is packed with interesting bottles as well as informative blurbs about the wines and winemakers. Sip on options like the Silverthorn Jewel Box or Circa Rosecco, or move on to heavy hitters like the Meinert Synchronicity. As for the food, favourites include deep-fried calamata olives stuffed with ricotta and served with chilli herb mayo, or deep-fried camembert with Peppadew jam. 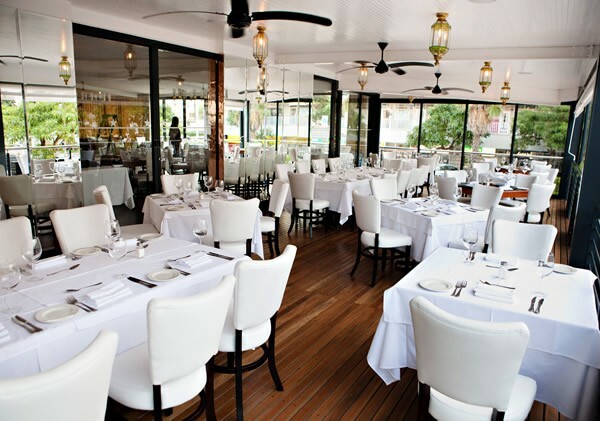 Situated in the historic point of Durban, this sophisticated bar offers a finely selected list of wines to pair with the elegant yet accessible gourmet grub. The wine list is easy to navigate with sections dedicated to white and red varietals as well as an impressive amount of champagnes and MCCs with the likes of Rose of Sharon and Colmant. There is a small selection of wines by the glass and even a spot dedicated for the unusual bottles like Sijnn Toriga or rare options like Hermanuspietersfontein Swartskaap. This handsome restaurant has a great wine selection to complement its elegant meat dishes. The grill room has a stunning bar where guests can perch and enjoy their favourite bottles such as Cape of Good Hope Altima or Hamilton Russell pinot noir. The by-the-glass menu also features great options like Anthonij Rupert Optima or Springfield Life from Stone. There are also Cuban cigars on offer, if that’s what you’re into. The wine cellar at Havana Grill. Photo supplied. 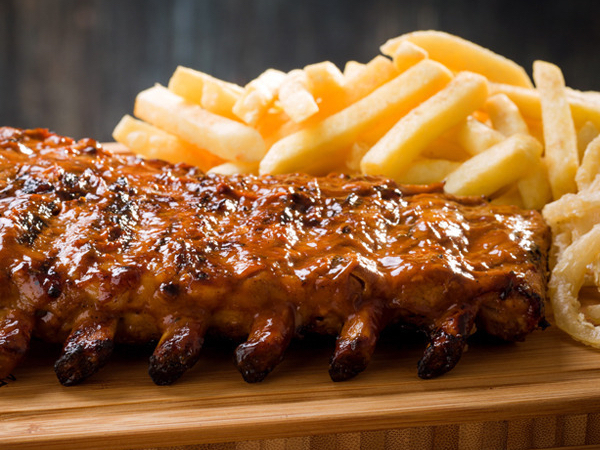 Situated in buzzing Umhlanga Village, this chic gastropub attracts a stylish crowd. Wines by the glass and light meals are on offer, as well as more refined pub grub with a twist. 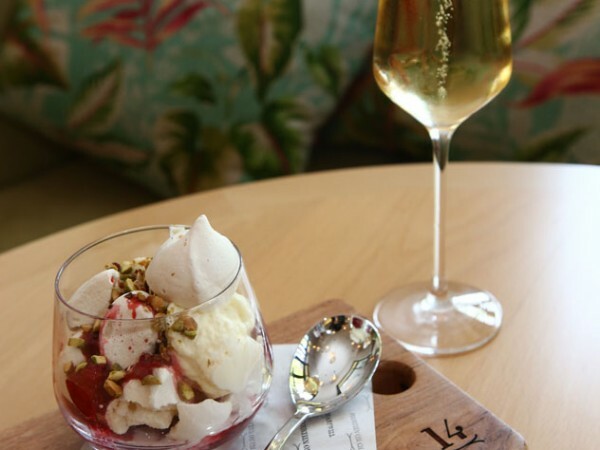 The wine list boasts easy drinking options like Nitida sauvignon blanc and DeMorgenzon DMZ chenin blanc, as well as some luxurious choices like Zorgvliet Simone, Creation pinot noir, Vilafonte Series M and French champagne. Pair this with the pie of the day, mussels, tasty burgers, and even a lobster mac ’n cheese. The Eton mess and a glass of bubbly at Fourteen on Chartwell. Photo supplied. Find a seat on the balcony on balmy evenings and enjoy the calm surroundings with a crisp glass of wine from their extensive menu. Options include Luddite shiraz, Thelema The Mint and L’Ormarins Brut NV. Reds will pair brilliantly with the meaty menu where free-range beef, prepared by the in-house butcher, is the hero. Inside at Little Havana. Photo supplied. 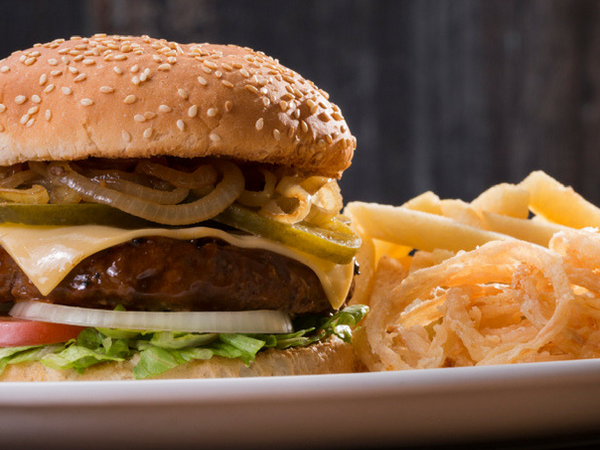 It may be situated downstairs from BrewHaus, but this popular Durban North burger joint pours more than just great local craft beers. Expect affordable but interesting bottles such as Cederburg bukettraube, Miss Molly in my Bed red, L’Ormarins Brute and even Italian prosecco. There’s a decent selection available by the glass. Also keep an eye out for wine tasting evenings. 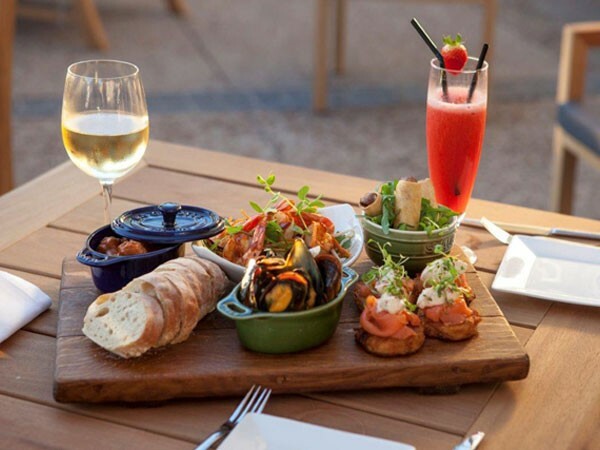 A sophisticated spot on the water’s edge, Bascule is the ideal spot for a de-stressing tipple and some tapas. The wine list is impressive and has great options by the glass. Sip on choices like Silverthorn The Green Man, Radford Dale chardonnay, Stark Conde cabernet sauvignon, Uva Mira merlot and Meerlust Rubicon – for those looking to splurge a bit. On the food front, the menu includes tasty wine-friendly items like freshly shucked oysters with a red onion vinaigrette; smoked salmon on potato rosti with crème fraîche; or seared beef in pepper sauce. Vegetarians can enjoy mushroom risotto; potato dumplings with gorgonzola and walnuts; or potato wedges with red pepper crème fraîche. Wine and tapas at Bascule. Photo supplied. This buzzing Waterfront steakhouse and wine bar offers 200 wines by the glass – one of the largest selections in the country. The wine list is equipped with handy Platter ratings and food recommendations. Local and international wines are all served in Riedel stemware and include exciting options such as Steenberg HMS Rattlesnake, Sijnn touriga nacional, and Paul René Brut. The Dorrance winery shares an intimate space with this eatery. The wine bar and cellar offer a simple, ever-changing menu with a carefully selected wine list. Pop in for a midweek wine tasting of the wines made on site, or settle in for some tapas and enjoy the great wine selection. There are also local and international wines complemented by a special selection that allows guests to discover a range of exceptional wines by the glass each week. Paella and wine at Bouchon Bistro. Photo supplied. 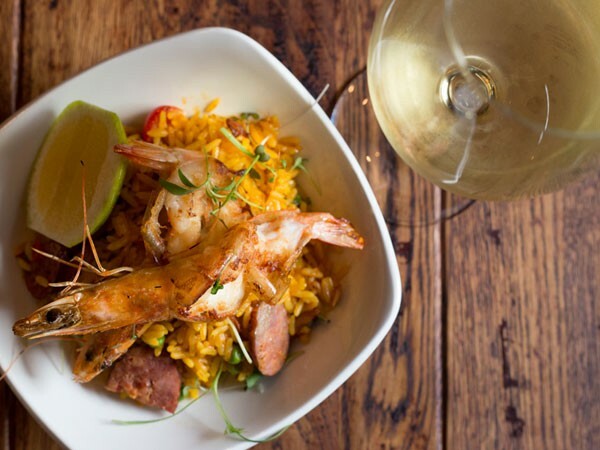 This Kloof Street wine bar and restaurant caters to all, with an accessible wine list and an extensive tapas menu featuring a great selection of seafood, meat and vegetable plates. Sip on options like Saltare brut by the glass or bottle, or whites like Thorne & Daughters blend, Spioenkop riesling, or Juilen Schaal Mountain Vineyards chardonnay. On the red side of things, there are quaffers like the Gabrielskloof red blend or treats like Storm Wines’ Moya’s pinot noir. While the sirloin steaks are the order of the day at this city bowl hotspot, the wine selection makes the bar a great place to linger. There’s a stellar selection of local wines and great options by the glass. The reserve list is described as a gift to wine connoisseurs, featuring a selection of some of the finest wines priced at exceptional rates. This includes wines like Rust en Vrede cabernet sauvignon, Meerlust Rubicon, Crystallum Peter Max pinot noir and Ernie Else Proprietor’s syrah. 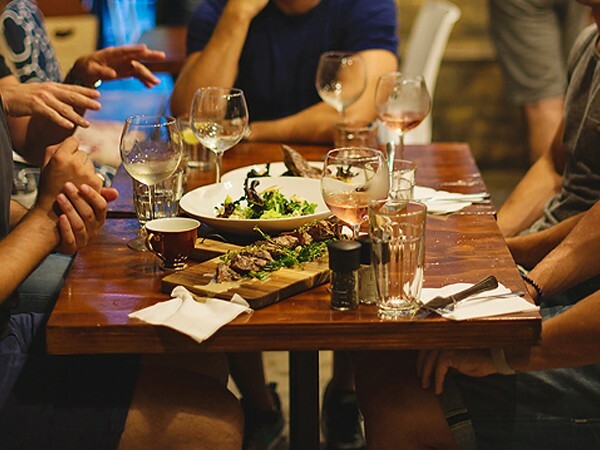 Make sure you head to one of their popular wine evenings with local winemakers. Steak and wine at HQ. Photo by Claire Gunn. 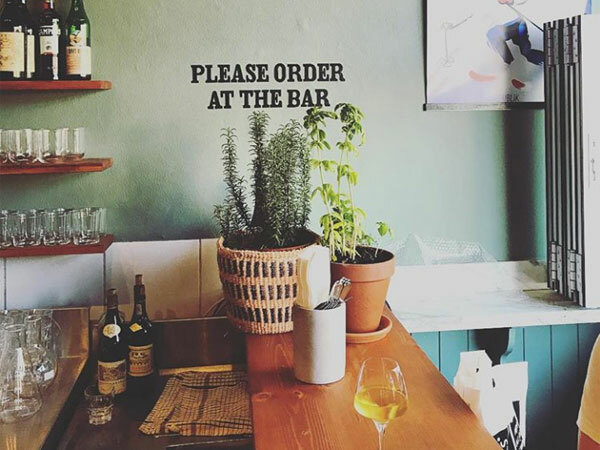 This popular Sea Point wine bar offers Atlantic Seaboard locals a taste of the country’s best wine. There are plenty of by-the-glass options as well as some easy drinking quaffers for lazy lunches. The focus is on the Cape Winelands, with wines mostly from Stellenbosch and Franschhoek, and a few champagnes and sparkling wines thrown in. Most wines are available by the glass and bottles are mostly below R200. Tapas and wine at La Boheme. Photo supplied. 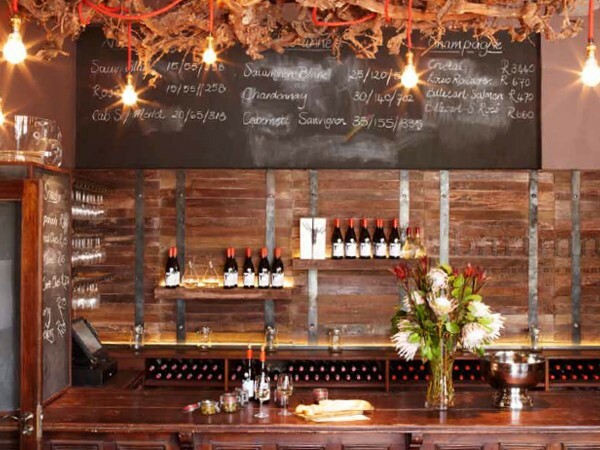 This Bree street bistro features wines by the estate and often offers most, if not all, of the range from each farm. The Little Saint team focus on smaller family-run estates that produce wine as naturally sustainably as possible. Currently the restaurant has five wine farms available including Beaumont, Cavalli, Marianne, Usana and Waterford. There are some options by the glass as well as some interesting MCCs like Teddy Hall and Montpellier. A wine-filled dinner at Little Saint. Photo supplied. 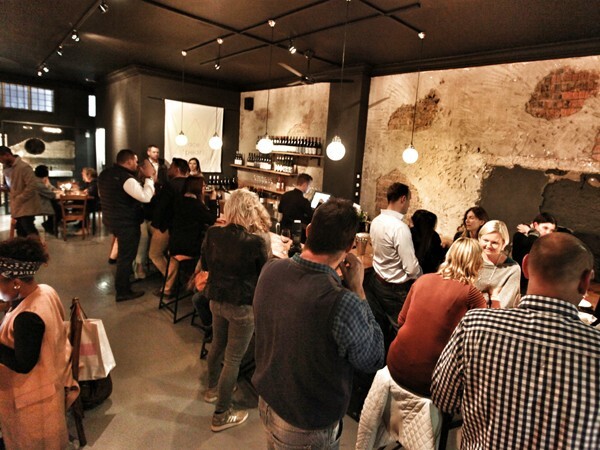 An interesting wine list offers a handful of gems at this stylish new wine bar and eatery. Think along the lines of Intellego chenin from the Swartland, Oak Valley Riesling, or Force Majeure’s cinsaut rosé. A small but beautiful bar has opened in the former entrance area, which we predict will be popular come First Thursdays and on balmy summer evenings. This meze and wine bar offers tranquil sea views and meze-style dining. Choose from a wide range of wines including champagnes and cap classiques like Laurent Perrier or Silverthorn, and favourites like AA Badenhorst Secateurs chenin, Paul Cluver pinot noir, or Babylonstoren mourverde blush rosé. Pair these with tapas plates of seafood, vegetarian and meat dishes along with various olives, cheeses, dips and pita breads. 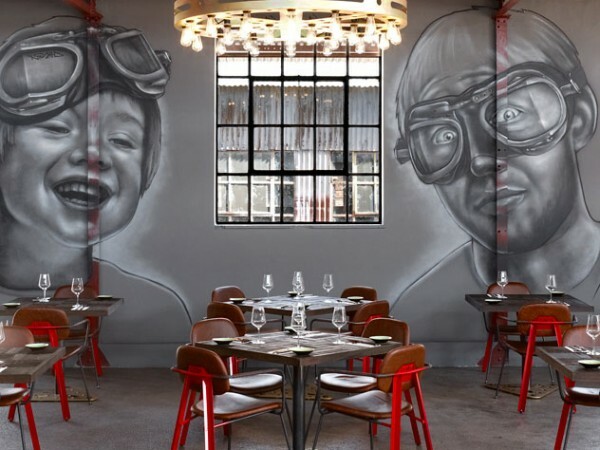 Nestled in a crook off Bree Street, this wine drinker’s haven is a creative partnership between wine fundi David Cope, Frankie Fenner Meat Merchants and ASH Restaurant. It’s a laid-back spot where you can try a range of exciting local wines – out of stemless wine glasses – and eat great food. Options might include Blackwater Noir, Cape Rock SMV, Dirty Julie Verdelho, or Domaine des Dieux Claudia MCC. Publik Wine Bar shares a space with ASH and Frankie Fenner Meat Merchants. Photo by Matthew Ibbotson. 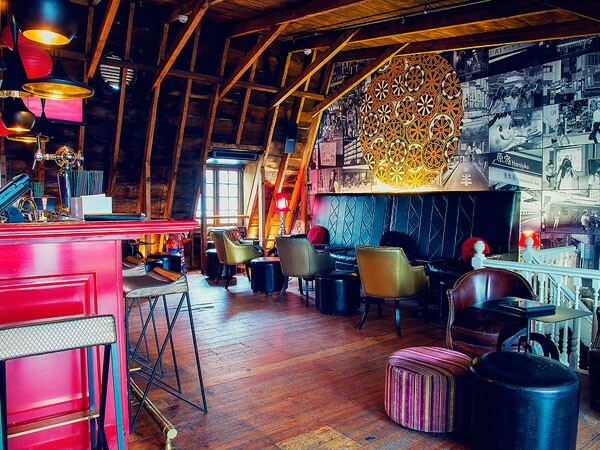 This social music lounge offers a soulful atmosphere with a bar-style menu and boutique wines. The wine list is divided into playful sections with lively bubbles, graceful whites, organic wines, smooth reds and whites by the glass. Options include everything from Miss Molly bubbles to The Music Room from Flagstone. The tapas offering focuses on simple, flavoursome fare. Try the Spanish adobo dish of deep-fried marinated cubes of line fish with a sauce of your choice, or bite into classic croquettes with a filling of biltong, cheese or vegetables. 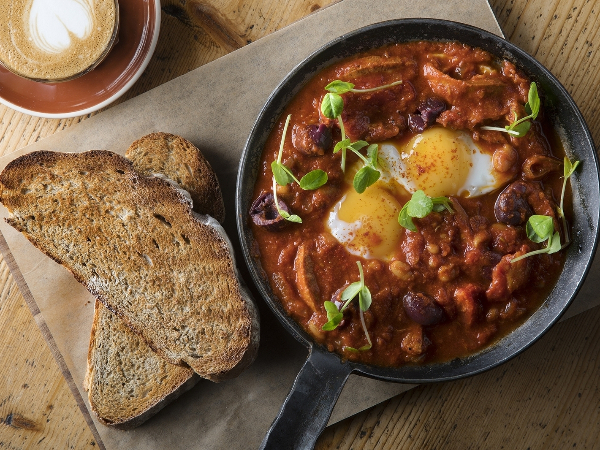 This Southern Suburb spot is a favourite amongst the locals. The accessible wine list includes easy drinking favourites like Simonsig bubbly, Iona sauvignon blanc, Haute Cabriere chardonnay pinot noir, Weltevrede cabernet sauvignon and Rupert and Rothschild Classique. 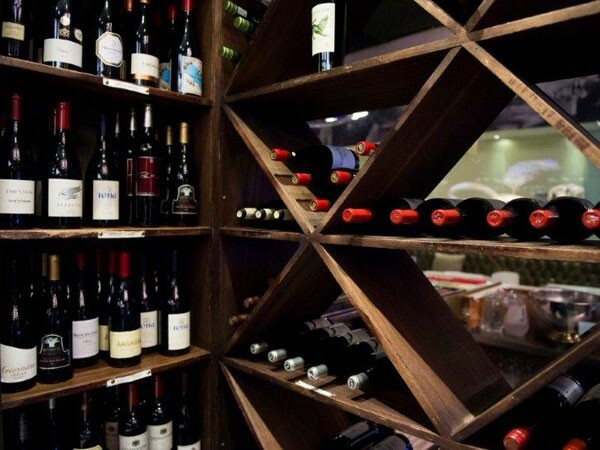 Openwine is a new wine-store concept that invites patrons to indulge in a tasting of local wines paired with Italian fare, and even buy bottles of what they like to take home afterwards. Wines on offer include Iona, Bouchard Finlayson, Raats, Tokara and Anthonij Rupert, to name a few. Openwine also offers a tasting of local beers, gin and even olive oil from South African producers. With an expert sommelier at Tjing Tjing Torii restaurant, you can bet that the stylish rooftop bar will also be pouring the good stuff. There’s a great by-the-glass selection with options like Colmant Brut Reserve, Spioenkop Riesling, Fits of Fancy pinot noir, and even Boplaas Cape Tawny Port. On the bottle front, expect a range of local and international bubblies, whites, reds, pinks and a selection of stickies, fortified wines and sake to pair with the Asian tapas. The interior at Tjing Tjing Rooftop Bar. Photo supplied. Guests at this popular Sunset Beach spot can enjoy wine, pizza and tapas. Sip on options like Italian prosecco, Creation sauvignon blanc, Ashbourne white blend and Southern Right pinotage. Pair that with an Unwined platter for two, which includes Parma ham, imported salami, blue and brie cheese, fig preserve, pickles, spreads and pita bread. Creative diners can also build their own platter and choose from a range of charcuterie, cheeses, spreads, dips and snacks. Perched high above Adringa Street, this upmarket bar offers a wide range of wines, including local options from Klein Constantia, Waterford, Jordan, Fairview, Freedom Hill, Tamboerskloof and Lanzerac. If you’re looking for bubbles, you’ll find options by Darling, Simonsig, Pierre Jourdan, Montellier and Mumm. This wine-drinkers haven is perfect for a delicious glass of bubbles or vino on your way to dinner. Enjoy Bartinney’s estate wines as well as champagne from Billcart Salmon, Veuve Clicquot and Dom Perignon. Snack on olive tapenade, roasted almonds, droëwors and cheeses while you’re there. The bar at Bartinney Wine Bar in Stellenbosch. This pizza favourite is not only popular for its woodfired cheesy treats. 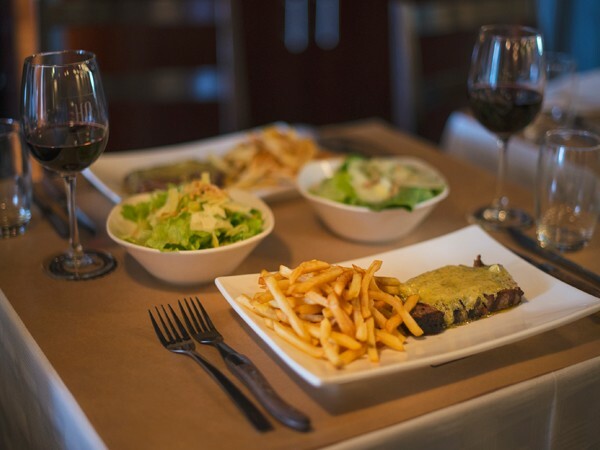 The wine list is ideal for lazy dining and has plenty options for all types of wine drinkers. The white wine selection includes sippers like Catharine Marshall and Hartenburg while the reds feature options like Meinert and Hermanuspietersfontein. Pizza and wine at Piza e Vino. Photo supplied. 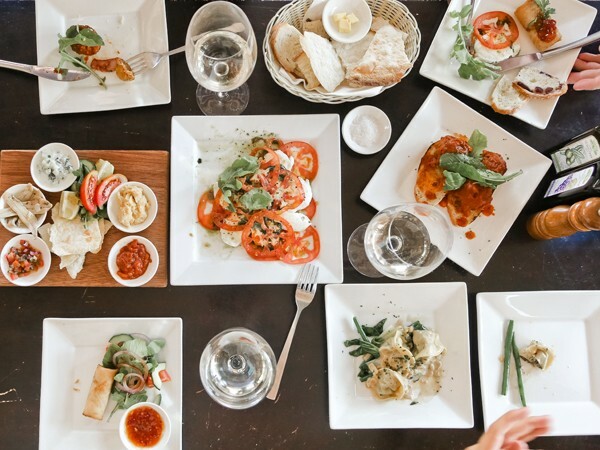 A buzzing locale for the Stellies crowd, Wijnjuis offers foodies and wine lovers Mediterranean fare and over 500 different wines. Sip on options from Terra Del Capo, Hartenburg, Delheim, Mooiplaas, Bosman, Waterford and Elephant Hill. There are also 20 options by the glass. 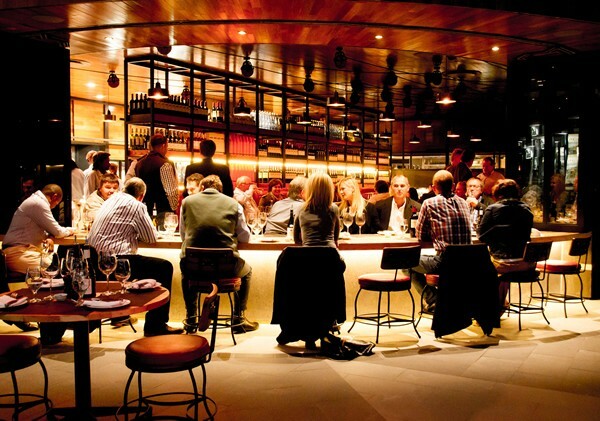 Did we miss a trendy wine bar in your city? Tell us about it in the comments below. Brampton Wine Bar in Stellenbosch is awesome!